Kai is a nominee for the 2014 American Hero Dog Award. She was rescued from a shelter and was a perfect fit for the State Farm Arson Dog Program. She is now an arson dog with the San Antonio Fire Department, and also educates children about fire safety and prevention. 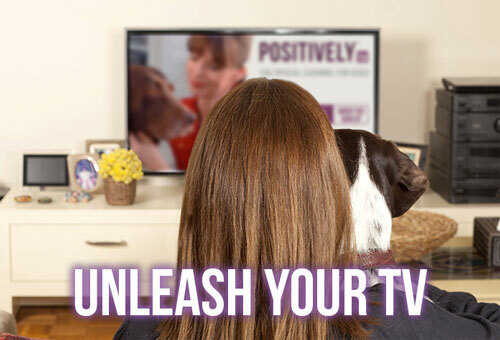 CAST YOUR VOTE FOR THE 2014 AMERICAN HUMANE ASSOCIATION HERO DOG AWARD! 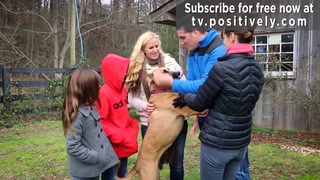 "'K-9 Kai is a shelter rescue success story. 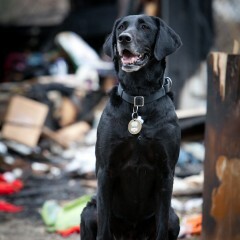 Kai is a six year old female black Labrador retriever, an Accelerant Detection Canine with the San Antonio Fire Department and my partner of four years. Kai's story began when she was picked up off the streets by animal control and forfeited by her original owners. Fate would send a representative from the Humane Society of Central Illinois to this facility. During playtime Kai was observed finding the only tennis ball in a large toy box. Her drive was obvious and with one phone call, her career in Fire Investigation began. 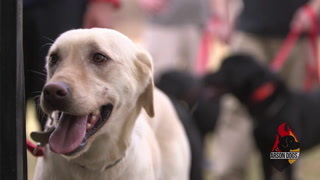 The phone call was to a trainer associated with the State Farm Arson Dog Program. He evaluated Kai and immediately began her training. 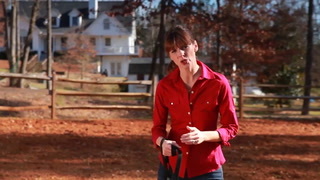 The never-ending energy, drive and tenacious quality of Kai make her an awesome working dog. Upon closer examination, Kai is loving, loyal, social and obedient. The attached photo of Kai is at her "office", any fire scene. An environment of heat, smoke, bright lights and sirens which would send most dogs running away only makes this K-9 smile with anticipation. With a single command of "seek", K-9 Kai begins her investigation (sniff) of the fire scene. Why should Kai be named an American Hero Dog? The Humane Society recognized her potential and saved her from certain death. She has eagerly worked over two hundred investigations. She educates children in fire prevention and safety during school demonstrations and she enjoys her downtime with her family and tennis ball."